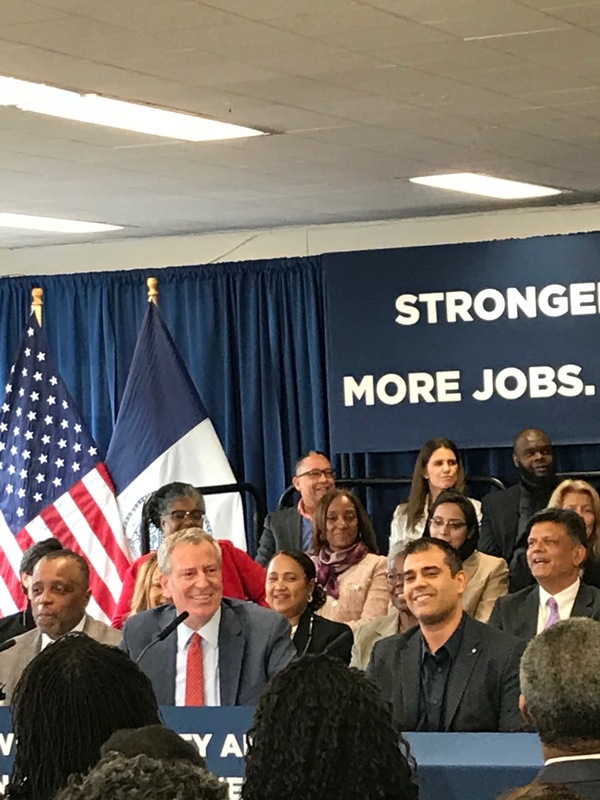 In a press conference Thursday, Mayor Bill de Blasio, along with Deputy Mayor Phil Thompson and others, called on the state to help New York City give better opportunities to small businesses run by minorities. “We are pushing today for changes at the state level that would help us empower small businesses. 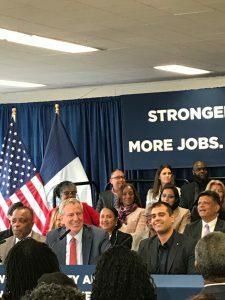 We see tremendous opportunity if we can just get the tools we need from the state of New York,” said the mayor.